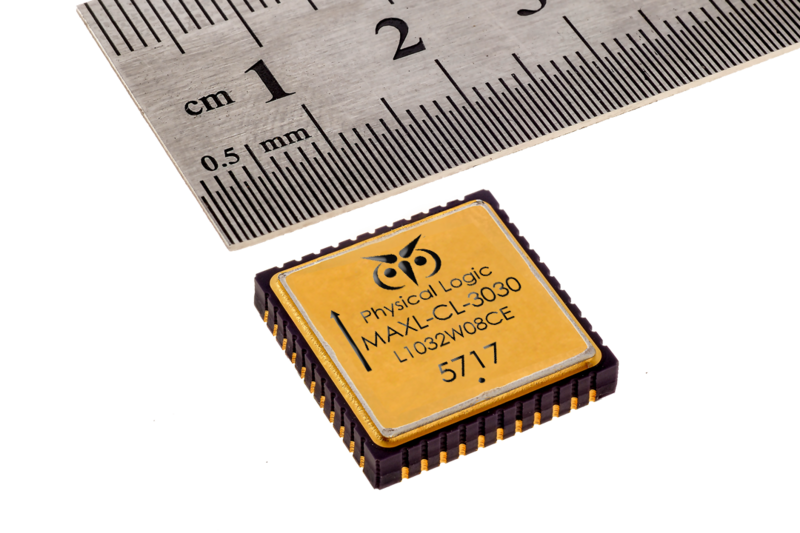 MAXL-CL-3030 is a high performance accelerometer based on a unique MEMS device and ASIC designed for tactical and inertial navigation applications, providing a digital acceleration output. The Accelerometer is available in several performance grades offering excellent measurement accuracy for a large range of inertial navigation and vibration sensing applications. With specifications such as one-year bias repeatability of 0.5 mg, one year scale factor repeatability of 400 ppm, and VRE below 20 µg/ g2 rms, this family of accelerometers provides highly advanced performance. The MAXL-CL-3030 features an input range of ± 30 g and operates from a single power supply voltage of 5 V with < 75 mA current consumption. The sensor’s system is composed of an LCC44 hermetically sealed package mounted on an interface board for customer evaluation and prototype testing. According to a specified ICD, Physical Logic offers its customers assembly and testing of accelerometers on customer integration boards.